In 2001 the Generalitat de Catalunya declared the massif a Natural Park, adding the partial reserve of the beech forests of Els Ports, interesting due to the scarce presence of the beech in the south of Europe. The park covers a surface area of approximately 800 square kilometres, and is home to over a thousand botanical species. In addition, it has become the most important Spanish ibex reserve in the country. Other animals of note in the park are the vulture, Iberian lynx, golden eagle, blue rock thrush, adder or European nase. Visitors will find two clearly differentiated climates: on the south eastern slopes the landscape is typically Mediterranean, but in the western part the temperatures are much cooler and there is more rainfall in the areas above a thousand metres. The highest point is the Caro mountain (1,447 metres) from where the Pyrenees and the Balearic Islands can be seen on a clear day. On the massif there is an abundance of caves, eddies and chasms. 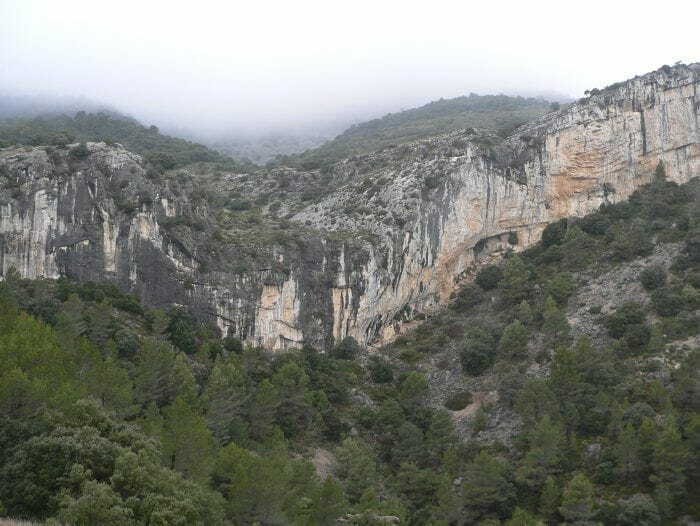 An example, is the erosion that the Matarranya river causes as it passes through the mountain, leaving spectacular formations. This gift of nature favours hiking and caving. In this respect, there are many mountain bike routes and footpaths in the park, such as the Els Ports trail, classified as difficult, and the Fou gulley, an easy path. Before starting out to enjoy any activity, a visit to the Nature Reserve Offices (in Roquetes), the Montsià Regional Museum (in Amposta, which shows us the importance of the ecological environment of Els Ports) and the Ecomuseum of Els Ports (in Horta de Sant Joan), is recommendable.